Thanks, Sabiscuit. They’re a-comin your way! Glad you enjoyed this. So beautiful and buttery, there it is again! Thanks, Cathe. The photo is truly spectacular! Glad you enjoyed. This is an image I could try 40 times and keep seeing something new. No blossoms here yet, your drawing is so delicate and beautiful! So beautiful Laura! I can’t wait for blossoms 🙂 62 degrees yesterday at 6pm and 26 this morning at 6 am – and snow again – lol – crazy weather – but your blossom art is wonderful. Thanks for sharing such beauty! Lady Spring, bring it on! I just saw a Robin in the back yard, so it won’t be long. 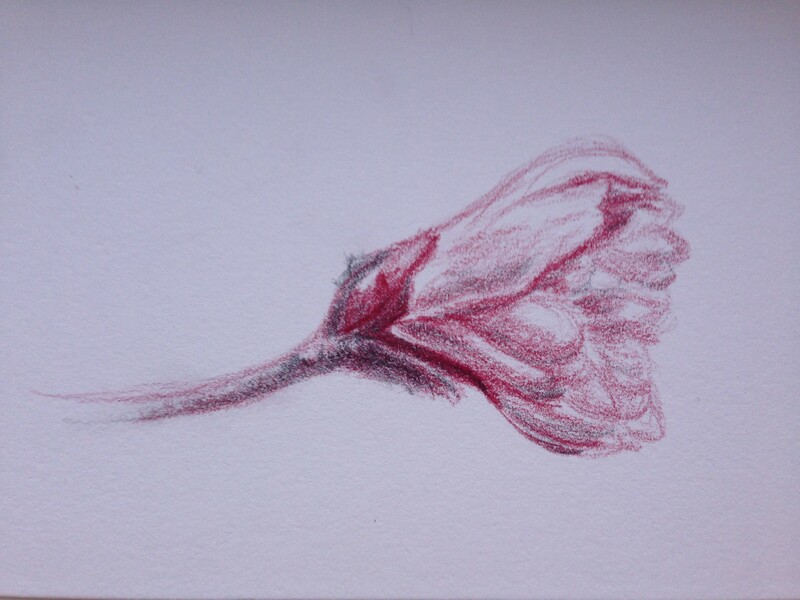 It’s funny that you drew a pretty magnolia bud – my current project is also a magnolia. Such magnificent flowers, and their smell is so heavenly. Happy Wednesday! Aren’t they wonderful, Carol? Glad you enjoyed! Thanks, Teresa! Yeah, great point there…..don’t want any dead buds lol! Thank you, Sharon. I had a good time with this one. I could do it another 20 times or more. Such subtle value changes. Glad you enjoyed, my friend. Thanks so much, Debi! 🙂 Fun to experiment! Lovely Laura – a wonderful combination of both mediums. Thanks, Mary, was my first experiment combining them and I may do more as I liked the contrast (and yet, the blend). Glad you enjoyed! This is lovely. We have all kinds of things blooming! Thanks! So glad to hear it. I’m just holding my breath that a warm winter doesn’t mean a hellish summer. I much prefer winter to summer. Love spring and fall! I like colder myself but we had such a mild winter it wasn’t really like winter. True. We had a weenie roast a couple weeks before Christmas! Beautiful blossom in pink. Shouldn’t all blossoms be pink? 🙂 I just noticed a redbud tree starting to bloom today. YAY! Spring is almost here. Isn’t it wonderful? Love to see that too. Thanks, Carol! Thanks, Donna! Glad you enjoyed. Love the velvety softness of the petals in the photo, which I tried to capture here. Laura as we move towards autumn here, its good to know that the flowers blossom elsewhere. This is so delicate and beautiful. Don’t work too hard. Thanks so much, Kath. I’m so glad you’re moving toward autumn. What a wonderful time of year! Makes me think of the beautiful fall leaves.